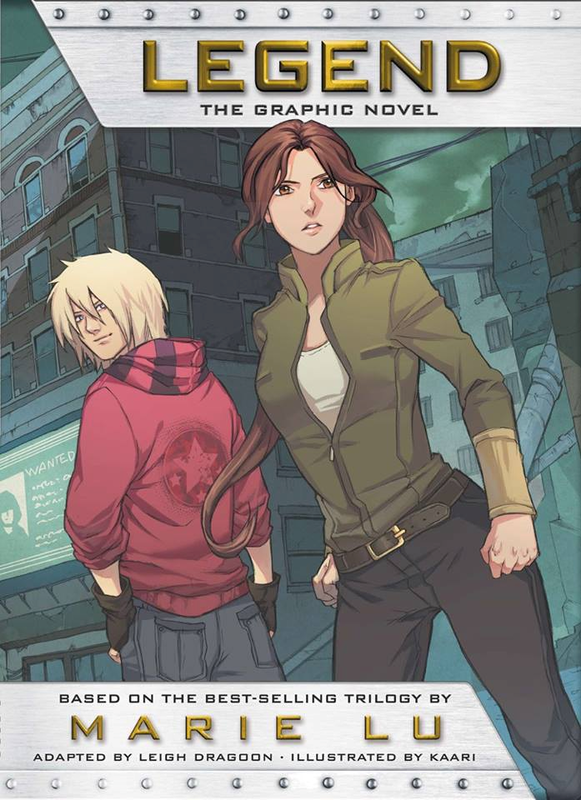 The cover for the upcoming graphic novel release of Marie Lu’s NY Times Best-Selling book, Legend, was released on her Facebook page. The cover shows June on the streets of Los Angeles with Day in the background looking over at her. The cover has an Anime feeling to it by the design, which will add a whole new element to the story. The series ended in 2013 when Champion came out to great reviews. Lu has been working on a new series, The Young Elites which came out in 2014, but she is still making time to give her fans what they want from her first series. Legend is the first book in the series and to be adapted to a graphic novel. The other two books in the series, Prodigy and Champion, are sure to be adapted as well in the coming months. This is the final book in the Shatter Me trilogy and it is going to answer all the questions that were created after the 2nd book. In this book, Juliette must trust the one person in the world that she thought she would never trust, Warner, if she has any chance at finding Adam or her other friends. The further that they go into the investigation, she quickly learns that everything she thought she knew was wrong, including what she thought she knew about Warner and Adam. This book is perfect for those of you who liked Reboot, The Darkest Minds, or the Legend series. The book has a lot of twists and turns that keep you guessing the more and more you read into the book. The novellas add a lot to the story and really make you wonder if what you think you know is right. As the story goes on, you start to suspect if there is more to the story just as Juliette does. This one of the first books this year that is finishing off the series and is going to have a lot of fans looking for it to end it in a strong note, something that has been lacking in some Young Adult fiction books from 2013. Fans will hope that it doesn’t end like Allegiant or Champion did, but will have a bow-tie ending like Mockingjay. It’s important to know that it’s impossible to make everyone happy, but it all comes down to tying loose ends and one could argue there were too many in Allegiant and Champion and not so much for Mockingjay. To add this book to your Goodreads page, go here . To get this book for your Kindle, go here . To get this book for your Nook, go here . In the third and final book of the Under the Never Sky series, Perry and Aria have to unite in order to bring balance to their world or it could ruin the world forever. The book is quickly becoming the ‘it’ book to read. 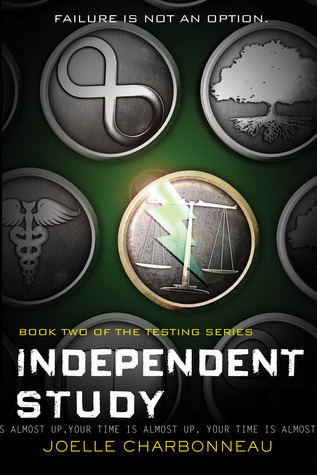 This book is for the fans of the Divergent and The Hunger Games series. Now of course, there have been a lot of books recently that have been compared to those two very popular books (such as Reboot series and Legend series). The only thing similar about this book, Divergent, and The Hunger Games is that they are all dystopian books. The book is going to have a lot to live up to as a lot of books series have been coming to an end (Divergent and Legend series) or will be coming to an end this year (Reboot and The Mortal Instruments). It’s all going to come down to that big twist in the book. That big moment that makes or breaks the series. If done correctly, it can draw in more fans and perhaps lead it to the status of Divergent or The Hunger Games. The book begins with Cia explaining about the amount of tests that she has to take and also talking about her home town of Five Lakes. She is the youngest child in her family and she is closest to her father who shares the same love for physics as her. When it comes time for her testing, she like every other student in her class try and pass the test for the honor to be chosen for The Testing. At first, she doesn’t pass but she gets called in and is told that her four other students from her class have been selected to go. 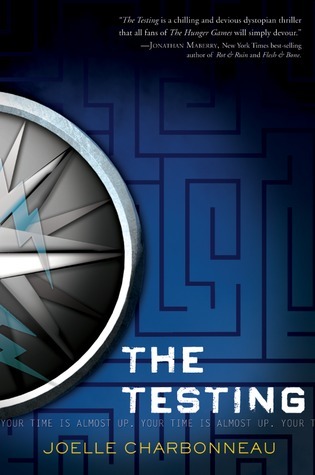 Cia is excited to go to The Testing, but before she leaves her dad gives her a starting message and a warning. She takes his message to heart and starts questioning and looking at everything different, everything that is except for fellow Five Lakes chosen student, Tomas. Tomas is her exception and she has taken the risk to trust him with everything that her dad told her. She leans on him for support as they go through The Testing and see that maybe it wasn’t as big of an honor as they thought it would be. When they get the final test, it becomes a fight for survival as they have to travel from Chicago to Tosu City which is a few hundred miles away. Tomas and Cia immediately team up and it all seems ok until things happen that force her to question everything that she thought she knew, including Tomas. Going into this book, I had read a few review beforehand. There were quite a few reviews that were upset with the slow beginning because a good 40% of the book is about the test. Knowing that ahead of time, I was prepared for it so I was able to get through it without feeling frustrated. Yes, it was a little bit boring at times, but it was necessary to help set up the rest of the book. You need to see how bad the test is in order to support Cia in the rebellion against it. While I do like to read a good romance story involved with young adult fictions, I didn’t like how this one started. At the beginning of the book, you really didn’t get the sense that Cia and Tomas talked much during their life in Five Lakes and now all of a sudden they act like they’ve been friends forever. The fact that Cia just trusts him right away was a little much for me. It would have been better for me if they showed him earning that trust over time. The story lacked originality. There were a lot of times that I could see strong similarities between this book and other popular books like Divergent and The Hunger Games. Especially the final part of The Testing. All the candidates were dropped into an arena and were forced to learn how to survive as they race to the finish line. They had to deal with not only the other candidates but mutated animals and people (The Hunger Games much?) I am going to give the 2nd book a go but if it turns out the same, then I might cut this series.